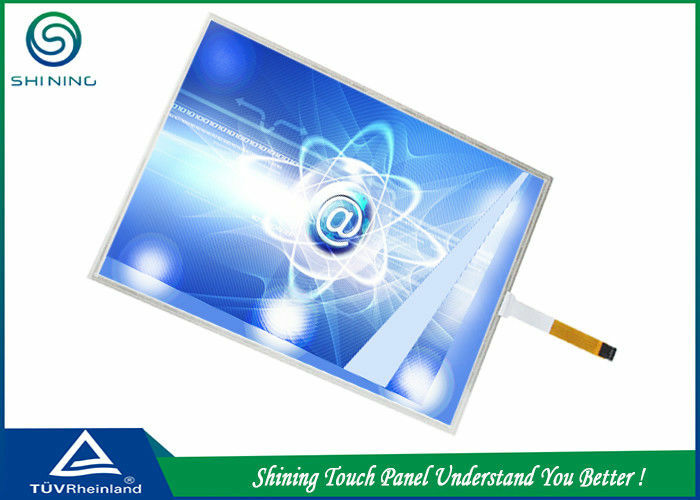 Analog 5-Wire resistive touch panel is the preferred solution for applications requiring durability and reliability over time. Similar to the 4-Wire technology, 5-Wire touch screen also consists of a conductive bottom layer (ITO Glass or ITO Film) and a conductive top layer (ITO Film). The fundamental structure difference between the two is: In the 5-wire technology, all the electrodes are placed on the bottom layer and the top layer acts only as a voltage measuring probe. Therefore, the touch screen works properly even with damages or scratches on the top layer. 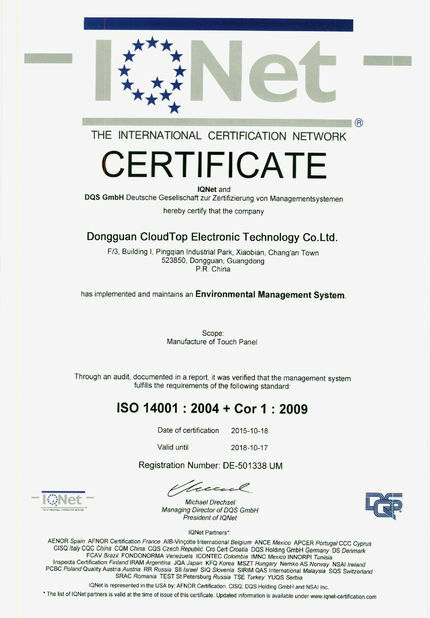 Audited by TUV, our factory complies with the national standard of high quality manufacturer through the following aspects: genuine manufacturer, dedicated export team, research and development capability, trustworthiness and reputation, high quality products, considerable company size, social and environmental responsibility, customer service capability. 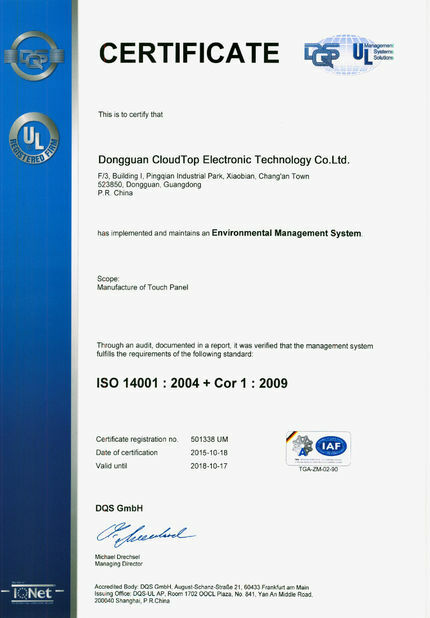 In 2010, we passed ISO 9001:2008 International Management System and ISO 14001:2004 + Cor 1:2009 Environmental Management System. Over 60% workshop workers have been working in our company since 3 years ago and it is more than 80% of the management. The philosophy of people-oriented management makes all staff like one. Additionally, our sales team are able to offer 4 languages service, including Japanese, Korean, English and Chinese. And we are always trying our best to support our clients. Perfect details make our products perfect. Silkscreen of our analogue resistive touch panels and projected capacitive touch panels has smooth surface, smooth line, uniform thickness and the linearity is below 1.5%; the edge is smooth with tolerance below 0.1mm; minimum width of silver line and distance between lines is 0.15mm. Silk-printing, laminating, cutting, FPC bonding etc. are all operated by automatic machines and skill-experienced workers. Almost everything is under our control. Every stage of production process is focused on a lot to avoid mistakes and regarding the cleanliness of appearance and function, we carry out 100% inspection. What we care most is that each piece touch panel delivered from our warehouse has to meet our clients’ requirements. Consumer Devices Mobile Phone, Tablet PC, PDA, MP3, MP4, PMP, Gaming, Web PAD, etc. Automotive, Medical, Industrial Industrial Controls, Equipment Panels, Medical Device, GPS Navigation, Rearview Mirror Camera, etc.